Dyeing can be dirty. Fast fashion dye houses have historically polluted waterways throughout developing parts of the world. We take our waterways as seriously as we do the quality of our gear, and we always opt for what’s safest for People and Planet. Our recent collaboration with The Dogwood Dyer stays true to this ethos. Liz Spencer — natural dyer, mother, educator, and owner of The Dogwood Dyer — transformed some of our comfiest hemp and organic cotton blend sweats and tees into a vibrant, limited-edition collection. 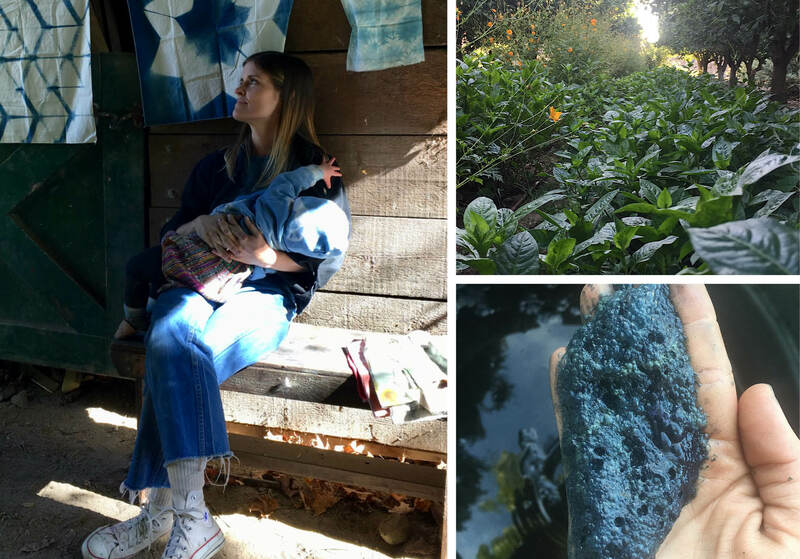 While mulling over a vat of eucalyptus dye, Liz took time to go deep with us on natural dyeing and the importance of working with nature. . .
First, tell us a bit about you! I have a lifelong commitment to natural dyes and I run about 15-25 natural dye workshops a year in NY and CA. I work with designers, in apparel and home goods, to dye textiles and garments by hand with natural, earth-based dyes. 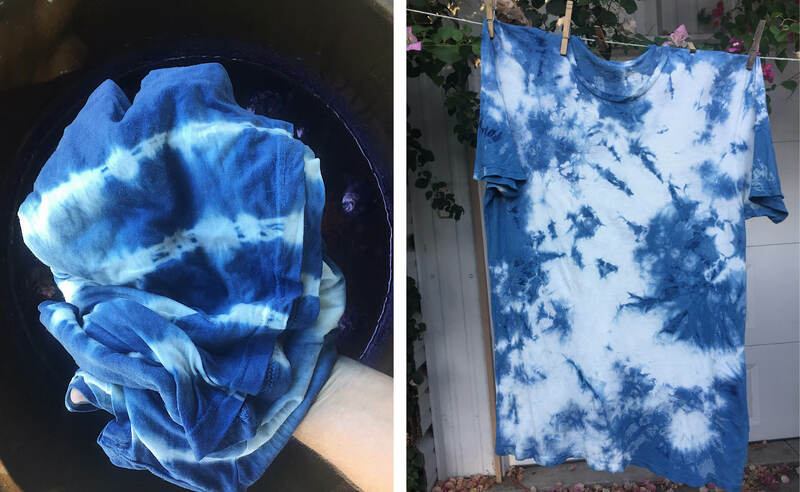 I recently moved near the ocean in San Clemente, CA, where I do a lot of my dyeing in between taking care of my two kids! I know Outerknown’s ethos and heart are strongly connected to the ocean and to the health of our planet’s waterways. Natural indigo is so much lighter on our waterways because the indigo plant can be grown rain-fed and the indigo vat, versus synthetic dye vats, can be returned to the ground safely. The whole process is so much cleaner and guarantees that synthetic chemicals don’t go into our waterways. Where did this indigo grow? If I can’t grow enough myself, I source my indigo from Stony Creek Colors, based in Tennessee. They work with tobacco farmers and help them switch over to indigo, which can be a better economic option for farmers, since it’s not a commodity crop and the prices don’t fluctuate as much. Indigo can be a rain-fed crop and it’s also a nitrogen-fixer, so the plants actually give back to the soil. It’s renewable and it supports American farmers and agriculture, unlike synthetic dyes, which are petroleum-based. Why do you love working with indigo? With a plant-based dye you are looking at a living color that comes from the earth. Each year, just like wine, you can expect a different vintage and color profile. The weather, the rainfall, when it's harvested, the soil nutrient content. . . there are so many different variables that lend to the unique coloring. You can’t Pantone match indigo exactly. It’s not a matter of wrangling the substance to be what you want, it’s about embracing the variability each year. I think with indigo there is an inherent mystery around the way the dye works because of its complex chemistry (especially with an all-natural vat!) so I am forever learning the more I practice. What was your process for this capsule? I used a shibori technique for all the sweats and tees. I tied them up to get the surface designs, then dipped them over the course of a few days. Because of the chemistry, you have to let the dye rest before the next session. To get the shade of blue achieved in this collaboration with Outerknown, each garment required 3-5 dips in the indigo vat with time to rest in between. Indigo is different than other dyes because it requires multiple dips for deeper, longer-lasting colors. After dyeing, they were rinsed in a cold water bath and dried. The colors that resulted were light-medium blues in all unique patterns. What fibers do you prefer to work with? I prefer working with organic fibers that aren’t processed or bleached. American-grown indigo I think is the perfect application for organic cotton because it’s such a valuable dyestuff it would feel wrong to put it on an unsustainable fiber. I’ve also been really excited about hemp, especially this year now that hemp is legal to be grown on an industrial scale again in the U.S.! It’s renewable, strong, grows fast, and can be grown for other reasons too! Pairing hemp or organic cotton with indigo is a dream pairing because with you can get quite a depth of color and contrast in pattern with shibori techniques. How should we care for our gear? 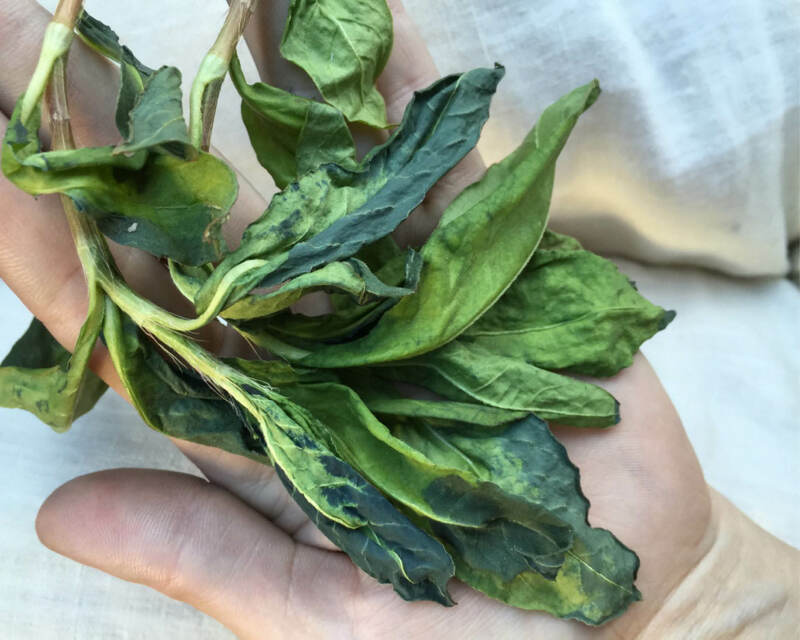 It’s important with natural dyes to understand they will fade, no matter how expertly they were dyed, because they are plant-based, not petroleum-based. It’s best to keep them out of direct sunlight. Wash with cold water and eco-friendly soap — conventional detergents are much too harsh and will strip the colors away since they are manufactured for synthetic dyes. Hang drying is always best if you have the time and space, but a tumble dry won’t hurt the color. Indigo does rub off with abrasion no matter how it’s dyed, so the gentler the cycle the better. What’re some lesser-known natural dyes? I love finding things all around. I’m all for tapping into the waste stream. There’s a lot of opportunity in food — avocado skins and seeds, pomegranate. . . things that we compost or throw away are full or color and opportunity. Some artists experiment with place-based mineral dyeing, where they wrap fabric on something that will rust, leave it, and let nature do it’s thing. Shop the Outerknown X The Dogwood Dyer capsule! It’s extremely limited-edition — we only have 7 Sur Sweatshirts, 8 Sur Hoodies, and 32 Pocket Tees available! For further natural dyeing inspiration, dip into Liz’s world and join an upcoming workshop!